Learn to deploy and manage your Citrix Virtual Apps and Desktops apps and desktops in Microsoft Azure. Gain the skills to plan your machine catalog and virtual machine design based in Microsoft?s public cloud and get hands-on practice deploying those machines using Machine Creation Services. You will also learn about additional Azure considerations including maintenance and power management which are critical in a cloud environment. For remote access, you will learn to configure Citrix StoreFront and Citrix Gateway on the Azure platform. This course focuses on Microsoft Azure as a Citrix Cloud resource location however concepts are relevant to both Citrix Cloud and fully managed Citrix Virtual Apps and Desktops sites. Built for experienced IT Professionals familiar with Citrix Virtual Apps and Desktops 7.x in an on-premises environment. 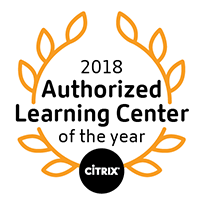 Potential students include administrators, engineers, and architects designing or deploying Citrix Virtual Apps and Desktops workloads on Microsoft Azure. Before taking this course, Citrix recommends that students have experience deploying and managing Citrix Virtual Apps and Desktops 7.x in on-premises environment.